The classes offered by Independance reflect current training practices for New Zealand dancers and choreographers. Class content is both physically demanding and conceptually orientated. ​We offer a variety of drop in classes at both advanced/professional and open level. Please note that because these are drop in classes, very occasionally if there are low numbers the tutor may choose not to run the class. Contemporary dance developed during the middle portion of the twentieth century and has since grown to become one of the dominant performance genres for formally trained dancers throughout the world. 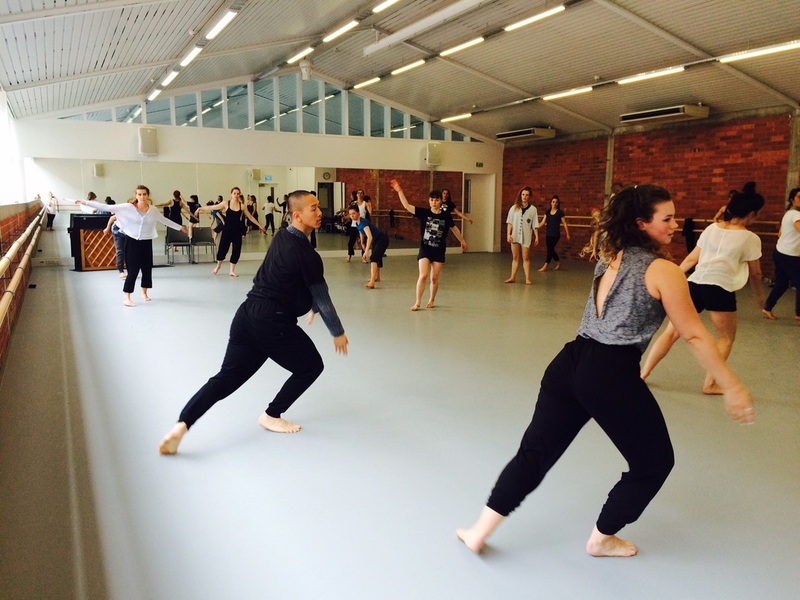 Independance contemporary dance classes reflect current professional practices for contemporary dancers in New Zealand. Classes reflect the current teaching approaches, research, choreographic and /or performance practice of the selected tutor. Classes consist of warm up, core work and stability exercises, floorwork, standing exercises into phrasework and spacial locomotion. Independance is introducing a new curation of classes based around physical inquiry and somatic practices for the mind and body. Classes include Contact improvisation, yoga, Qigong and much more! Each class will run over a four week block. The Contact Improvisation class welcome all kinds of bodies and levels of experience. The class provides a focused container for exploring technical information and also guides participants' movement researching in the development of skilled and sensitivity partnering. ​Contact Improvisation is about respectfully engaging with other movers to discover the physically possibilities of moving together. Payment is to be made at reception prior to the beginning of class. 10 Class Cards must be purchased upfront with full payment. These classes are at a level aimed at the professional dance community, tertiary dance students and graduates of dance training programmes. Participants are assumed to have a high level of experience and strong understanding of dance technique. Open Level: These classes are open to all levels of experience, suitable for beginners and professionals alike. M&B (Muscle & Bone / Mind & Body) is a vigorous, rhythmic, dynamic movement and spatial training system; encouraging participants to experience the limit of their flexibility, endurance and spatial expansion. The M&B workout is about understanding the depth of relation to the ground, working space together and the communal body. The classes are designed to be fast paced, physically rigorous and are structured for participants to experience full expansion of their external body in the space. Regular M&B training is an excellent source of overall fitness and strength. M&B movement approach is one part of the Body Weather Laboratory (BWL) is a research forum, founded in 1978 by Min Tanaka; a demanding and thorough reexamination of the body and movement is a main theme in all aspects of the training.